Circa 1825, RARE pressed iron Anchor Light in fine condition with only light surface rust as one would expect for its age. The Lamp retains traces of green paint which most likely protected the surface from the rust one would expect from being exposed to the salt air. 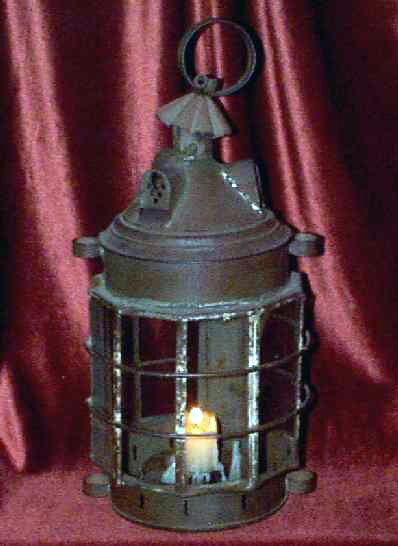 A fine and unusual item for the collector of ship's lighting or for someone who just wants a piece of the seafaring past.